This year marks the centenary of the end of the First World War. It started in Europe on the 28 July 1914. Although much of the fighting took place in Europe, large navies which included a growing number of submarines, and the new invention of the aircraft meant that the war could easily spread to other parts of the world, and it did. Because of these concerns the Colonial Administration on St. Kitts started monitoring the availability of local resources. 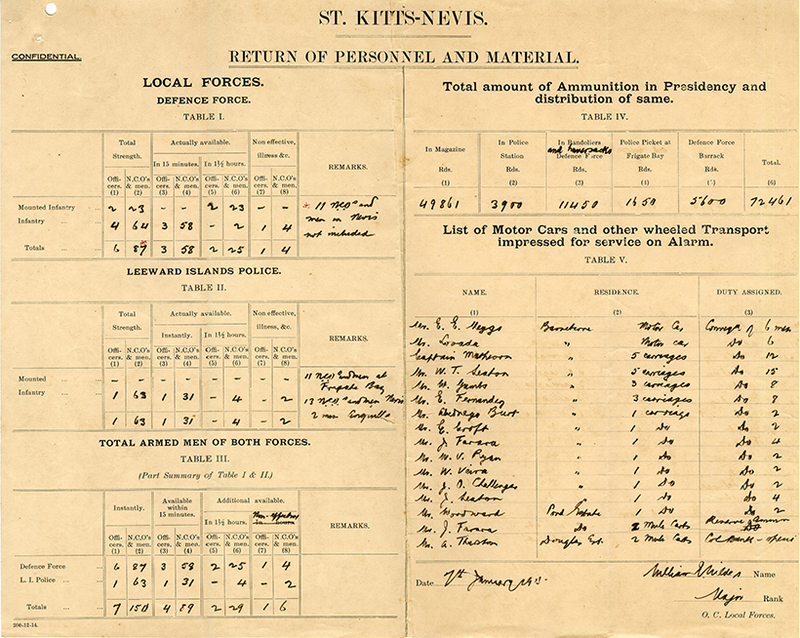 This sheet, the original of which was sent to the Command in Antigua, is contained in Secret file No 460 with a start date of the 25th November 1914. Because of the sensitive nature of the information, the envelop containing the document was to be weighted and ready to be thrown overboard by the Captain of the Royal Mail Steamer, if the vessel was intercepted. 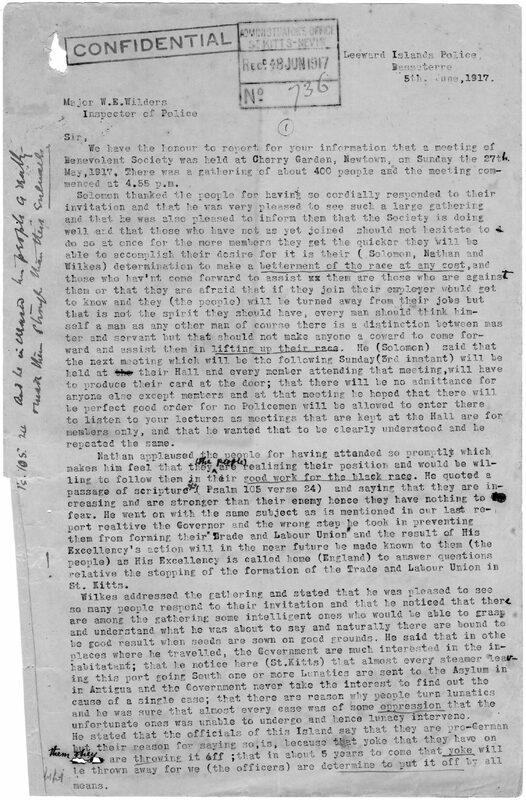 The document shows the number of men who could be called upon to be ready for action within varying periods of time. It also includes a list of men whose vehicles – motor cars, carriages and carts – were impressed for service if an alarm was raised. and shows where ammunition was kept and how much was available. There are two blank sheets on the file. It is not clear if these were to show revisions or if they were to include more detailed information for Nevis and Anguilla.